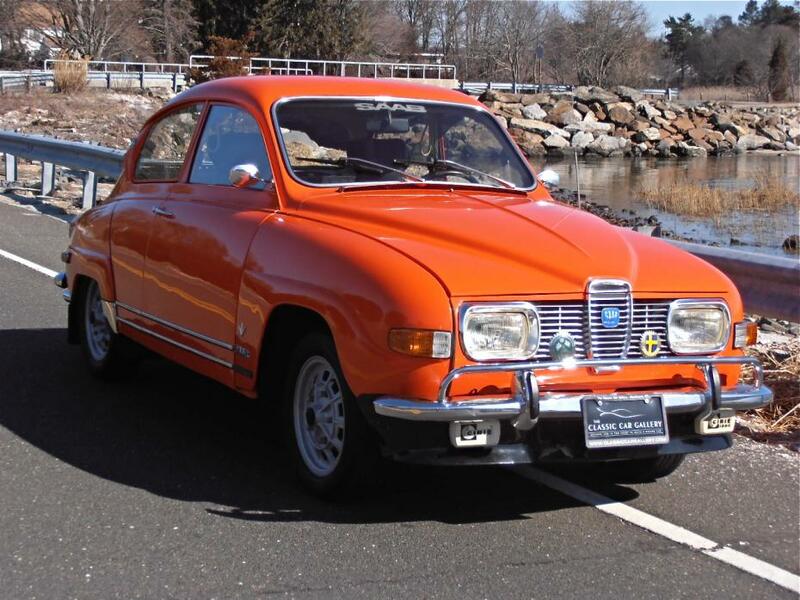 This Saab 96 was offered for sale by The Classic Car Gallery in Southport, Connecticut in 2012. The asking price was US $ 17,900. 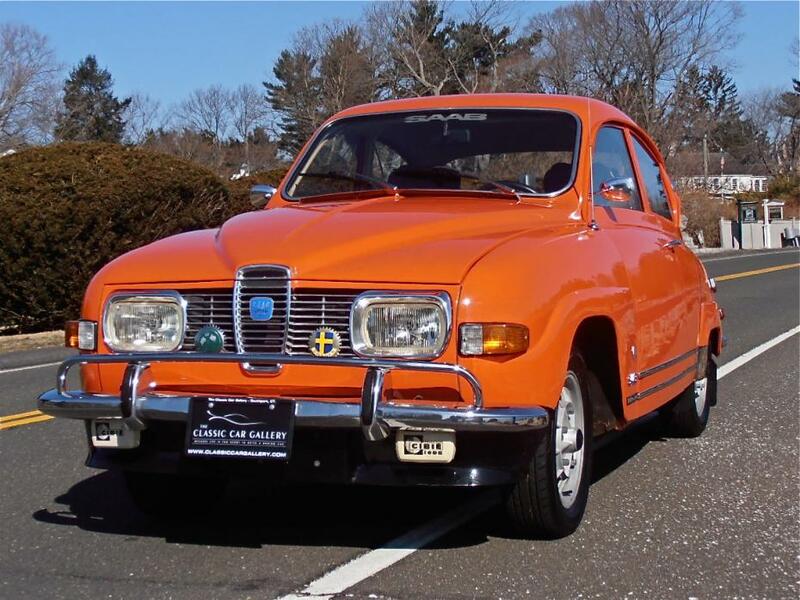 This same Saab was sold by Chip Lamb in December 2011 and sold on eBay for $14,995. 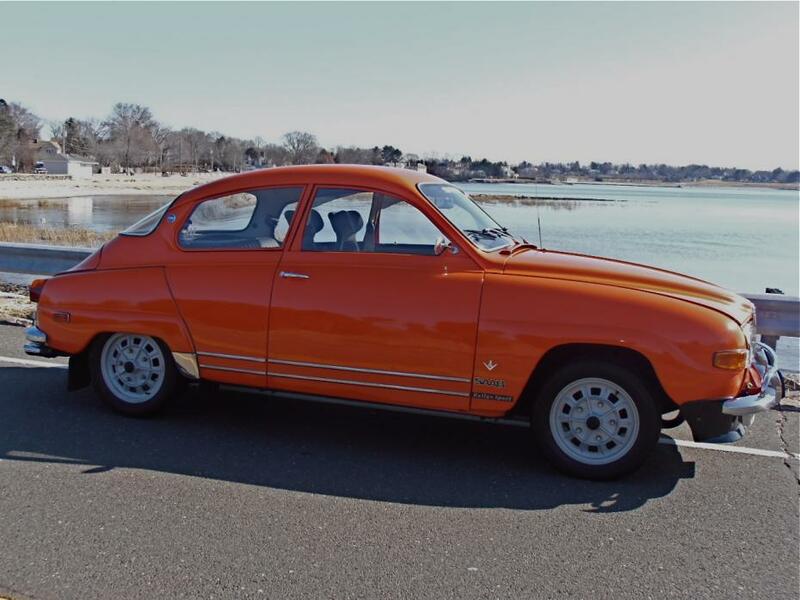 The Classic Car Gallery is proud to offer this rare and unusual 1970 SAAB 96 V4 FACTORY RALLY HOMOLOGATION SPECIAL “T-CAR”. She is a stunning car, and draws a crowd wherever she goes!!! 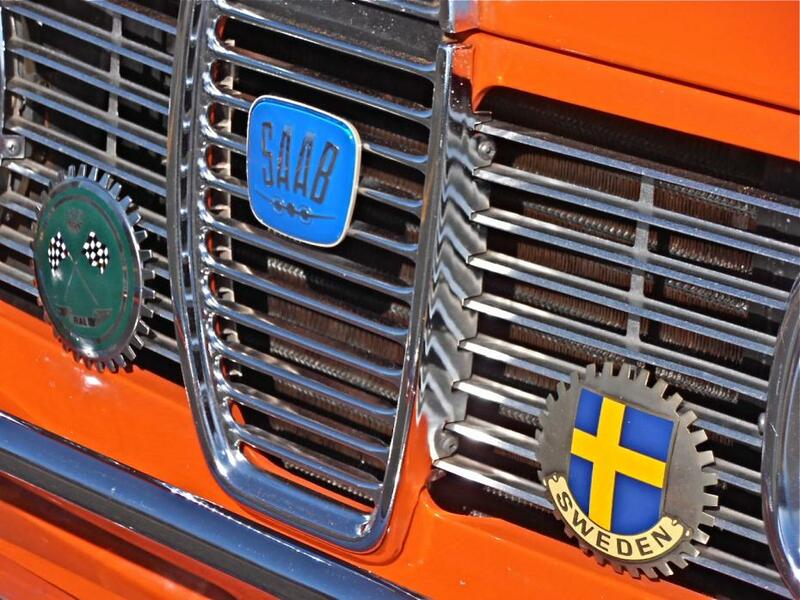 It is known that SAAB exported 150 ‘Baja T-CARS’ as DEALER ONLY promotional cars. They were dubbed T-CARS. These cars had the strengthened bodies and look of the rally cars, but the engine and transmission from a stock 96. 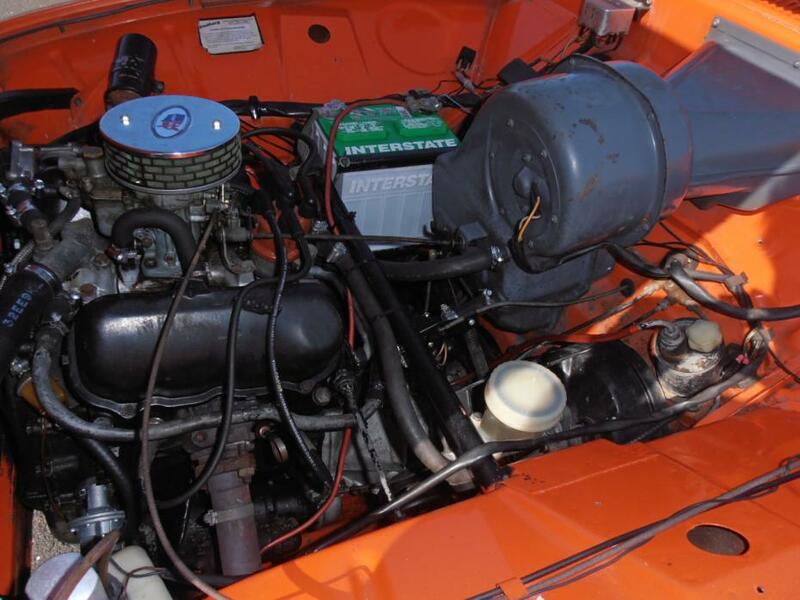 Only 50 INTERNATIONAL BLAZE ORANGE cars were made. THIS IS THOUGHT TO BE THE ONLY REMAINING CAR!!! 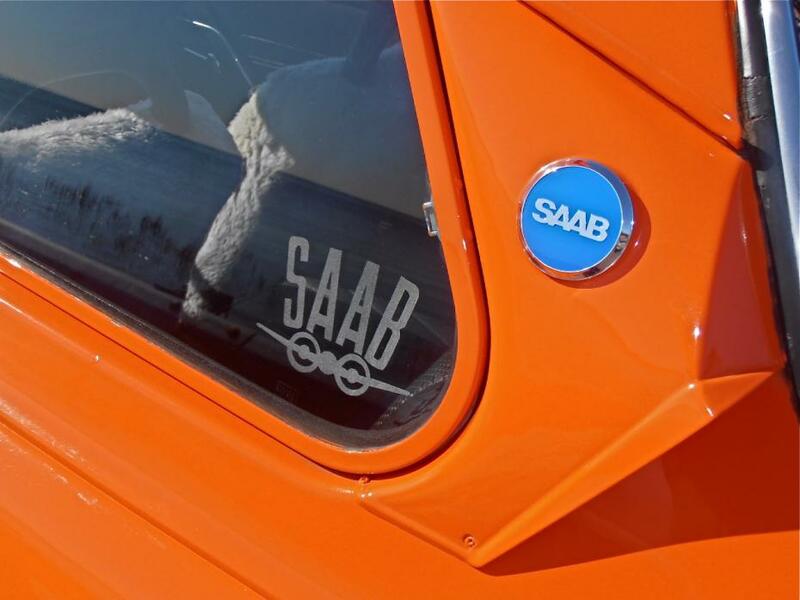 She received a lengthy examination by noted SAAB rally car builder and preparer Garth Ankeny in Portland, OR. 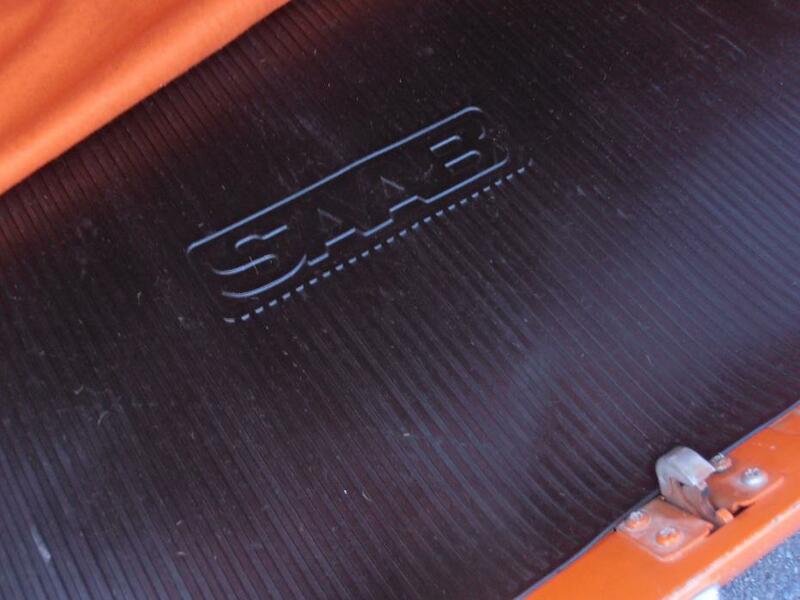 He confirmed that the body shell shows all of the hallmarks of a SAAB “T CAR”. Many joints received extra seam-welding as well as additional body reinforcements and bracketry that only the factory bodied competition rally cars received. 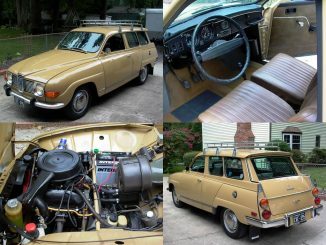 The motors and transmissions on the “T-CARS” remained stock SAAB 96. This car may be the only one left, and certainly is the finest on the market!!! Purchased new in Chicago, this car was delivered as a promotional FACTORY “T” RALLY CAR (as documented in her service book, and verified by experts). She made her way west soon after and arrived in Berkeley, CA in 1977. As the documentation shows, she has lived there ever since, and has been used only sparingly. 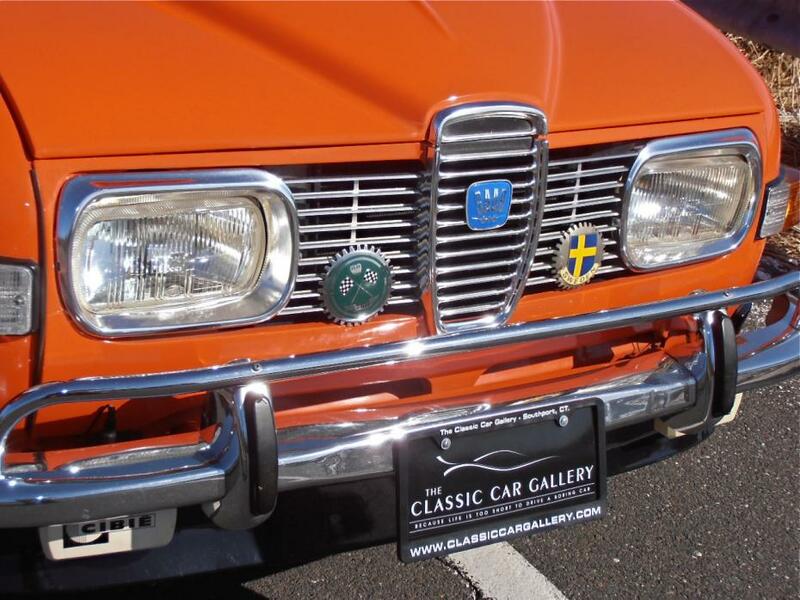 This is a California blue-plate car, and retains all of her California registration documentation.She is not a restored car, but a very nice survivor, with one repaint in her correct original SAAB INTERNATIONAL BLAZE ORANGE. 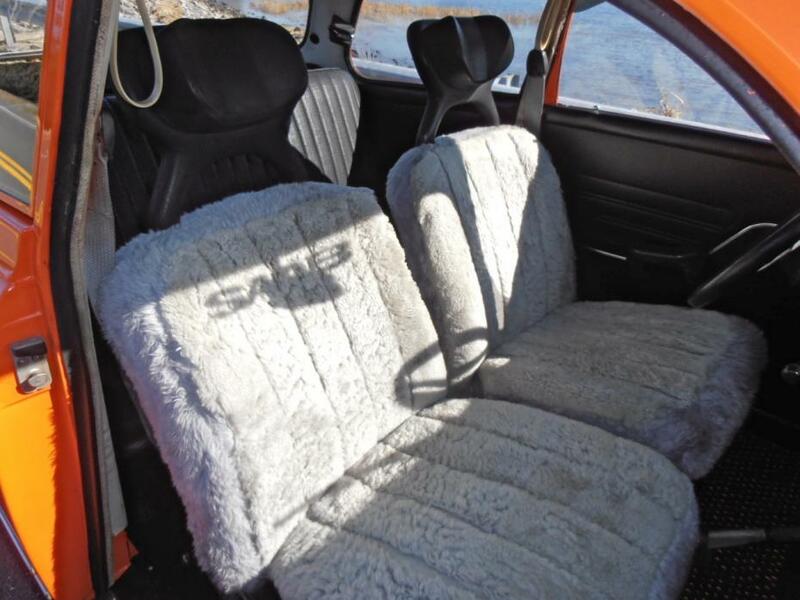 In addition, she received some sympathetic upholstery work. She shows no evidence of ever having been hit or repaired, remains in amazing original condition, is structurally solid, and rust free. Mechanically and cosmetically she is in excellent. 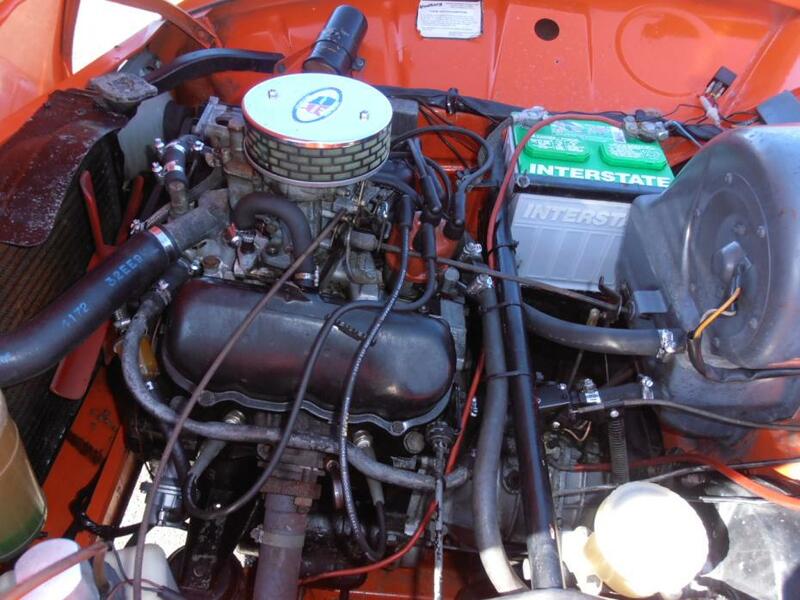 The engine runs well, and has benefited from a recent tune-up. The brake master cylinder was restored, and the rear brakes received new shoes, and wheel cylinders. A new fuel pump was installed, and all water hoses, brake flex hoses and all fluids were also changed. 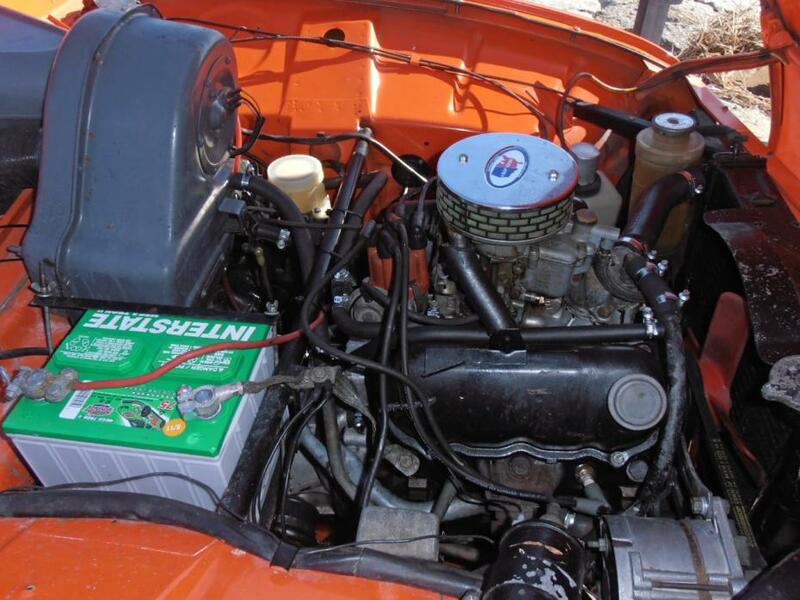 She has a Weber 28/36 carburetor – Sport & Rally ‘Stage 1’ kit along with the 2bbl manifold. She breathes through a period correct Abarth exhaust and sports an unusual Y-extractor header and exhaust system that ties into this muffler. She makes a great sound which is further enhanced by the 2bbl Weber tuning kit. 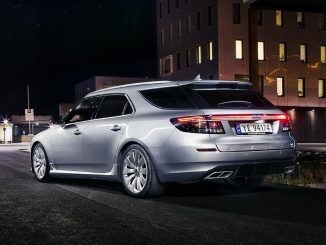 The original engine and drive train are well sorted, and give good power, torque and driveability. 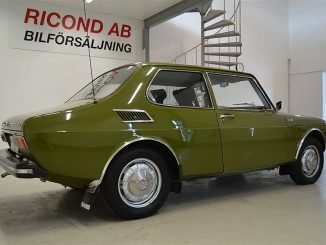 The car has benefited from the installation of a ring and pinion transaxle from a SAAB SONETT that gives a more relaxed ride at highway speeds than a standard 96. She handles well with her stiffer springs and Koni shocks. 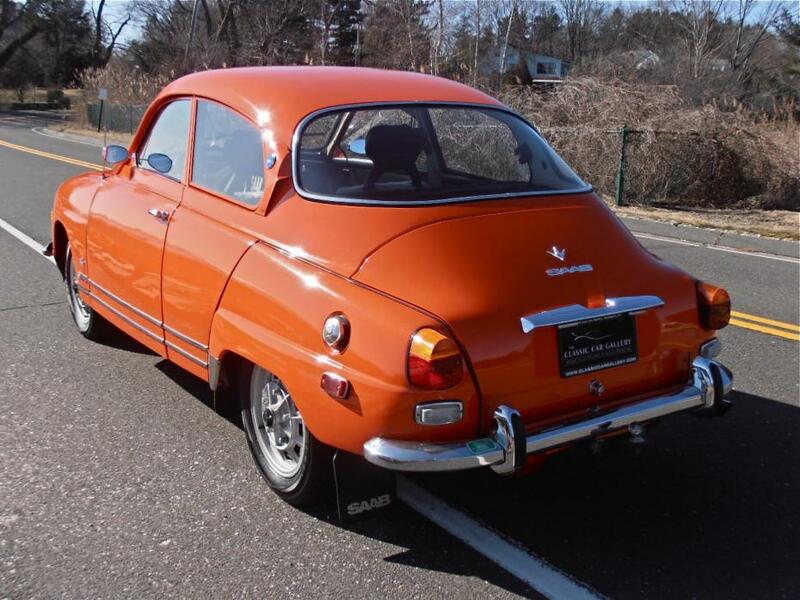 She is shod with mag wheels (from a 1968 Sonett), new Yokohama tires, European front grille, lenses and mirrors. 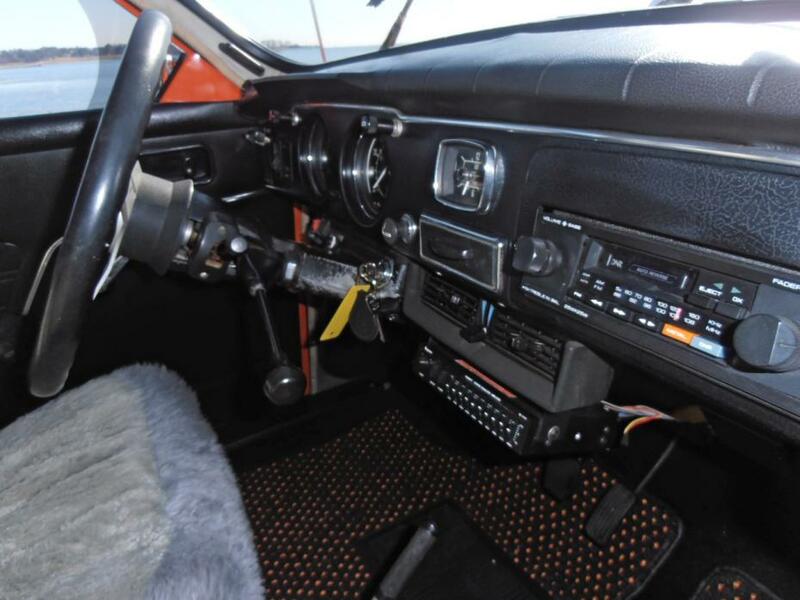 Her original Sport & Rally front air dam, Cibie fog lamps and much more. 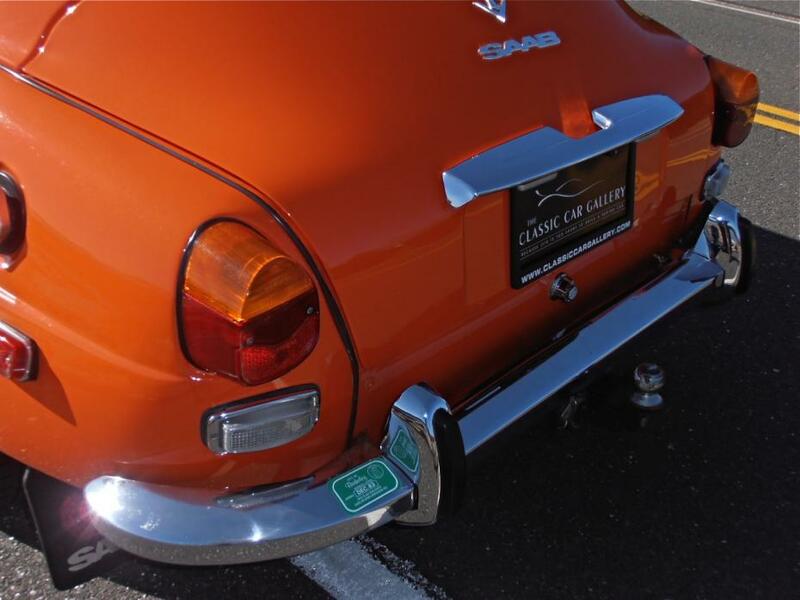 The rear fog lamp and trailer hitch are very unusual, the latter is welded to the, competition car specific, reinforced trunk pan and additional rear structural valance (note body color piece beneath the bumper not seen on a standard 96). 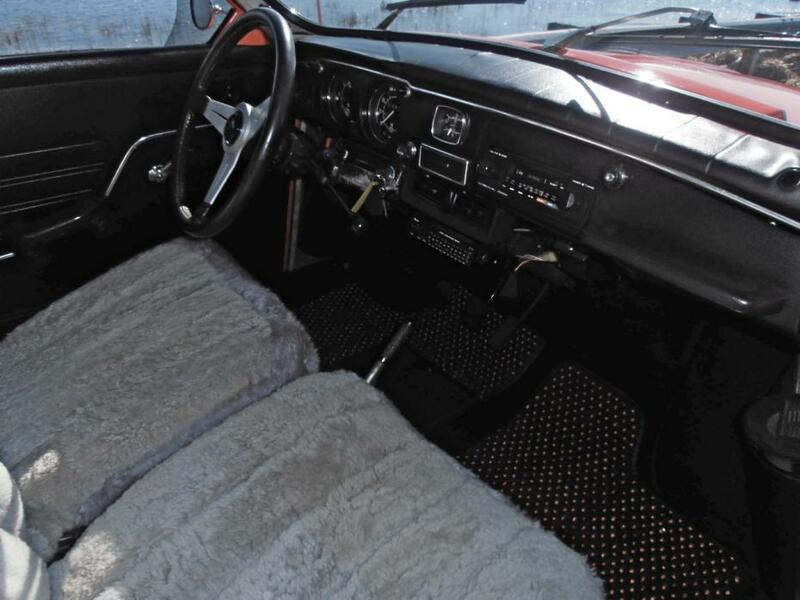 The original interior has been well cared-for over the years. 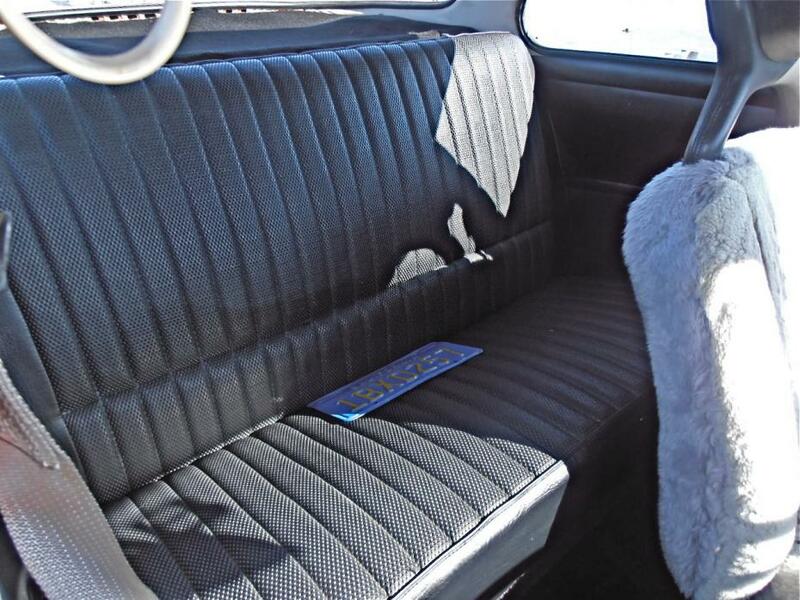 The sheepskins cover original blue vinyl and cloth seats that exhibit light wear. All carpeting was professionally redone at some point and remains in excellent condition. She has new COCO mats. 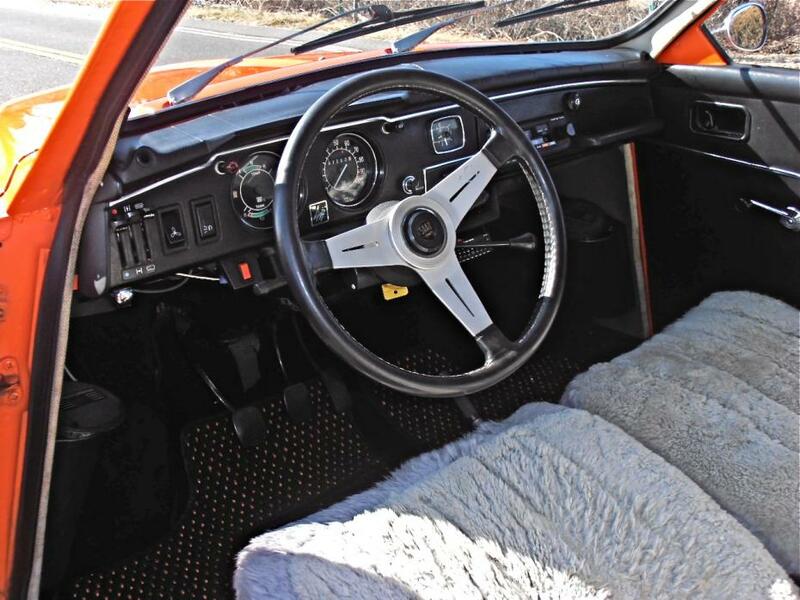 She is steered with a lovely Aftermarket NARDI wheel. The dash pad shows some mild separation in the center, but is otherwise excellent. The vintage stereo system works well. The clock even works!!! The headliner is intact save for one tear. 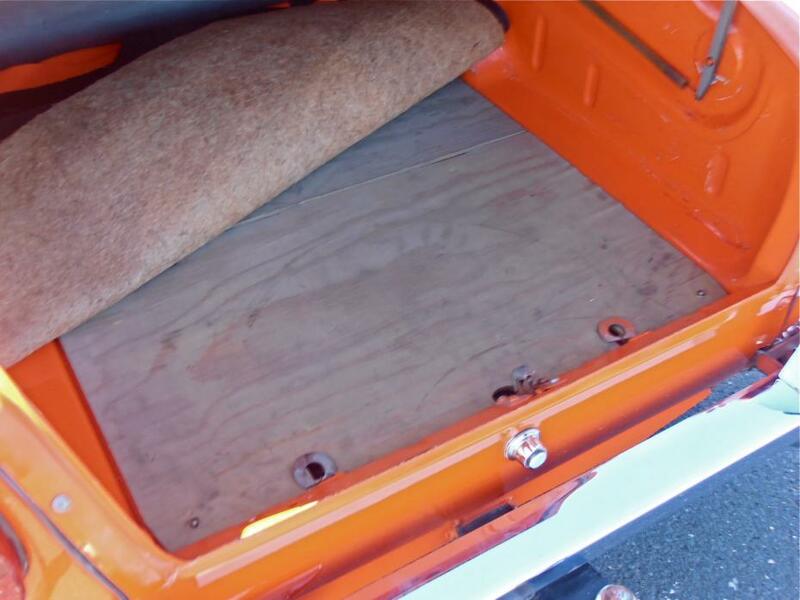 The back seat was recovered at one time and remains in fine condition. 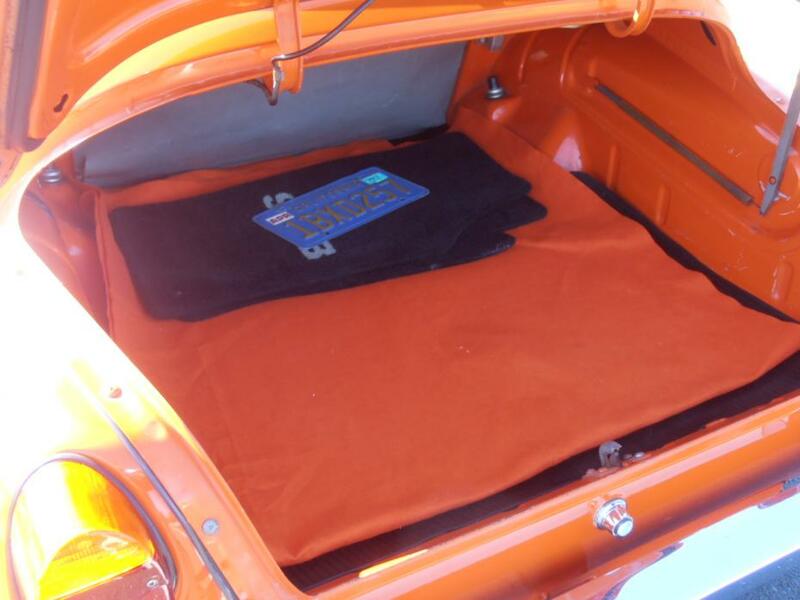 The package tray is in good shape, the carpet covers the rear speakers. The heat and the heater controls work as they should. 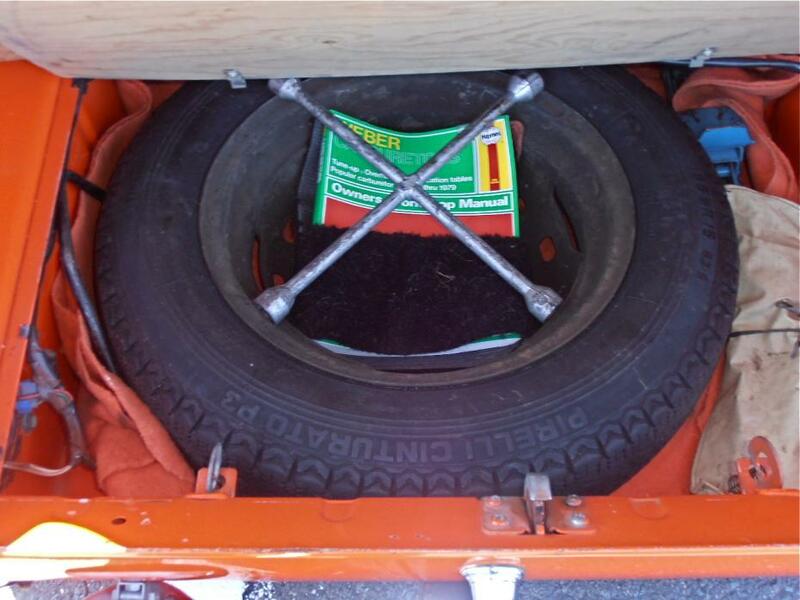 An incomplete tool kit, 4-way wrench, jack and jack tool are in the trunk well. She comes with her original owner’s manual and warranty book.